Well…landing pages are basically the first stop for your potential customers. They visit your landing page and decide if they want to go through with giving their email information or credit card information. Landing pages are especially important because they are designed to sell whatever it is you’re selling to a potential customer. It has to be attractive first off to get their attention. It has to be informative to spark their interest. And it has to be able to convert them into becoming YOUR customer. Even if it’s a freebie so that they’ll give their email, you can them sell to them later with a real product once you have gained their trust. Many of the very best and most successful marketers have mastered the art of developing high-converting landing pages through a long time of trial and error. 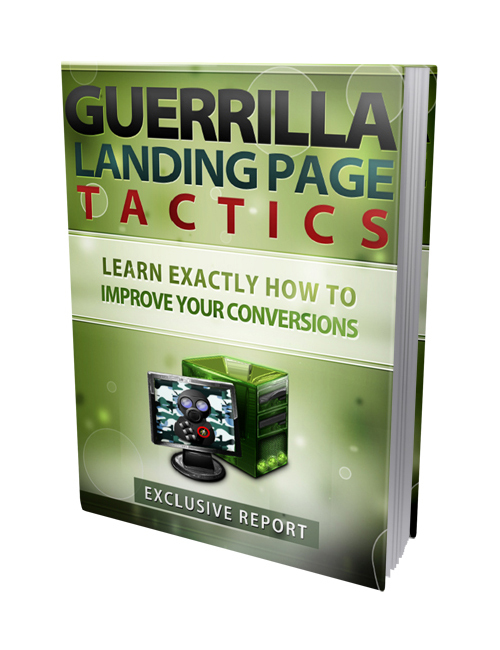 This guide provides the necessary information and amazing tips and tactics to assist you in building your awesome landing page and getting the attention of potential customers.